• Offers a ground-breaking, visually spectacular book, based on cognitive and educational research on how students learn and study. 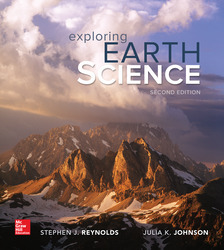 • Organizes topics into two-page spreads, each featuring stunning photographs and illustrations, rather than long blocks of text, so students can easily visualize geologic processes and concepts. • Encourages students to observe, interpret, think critically, and engage in authentic inquiry.